Edinample Lodge offers comfortable self catering accommodation for families with views towards Loch Earn. The open plan downstairs provides a great area for relaxing, with a lounge arranged around a log-burning stove giving it a rustic feel. The spacious kitchen is fully equipped with everything you might need and there is a dining table with seating for four. There is a downstairs bathroom and a utility room with washing and drying machines, perfect after a long day out on the hills. Upstairs there is a double and twin room and second bathroom with bath. Situated nearby Edinample Castle, this rural retreat is ideal for walkers, being close to Ben Vorlich and a short drive from many other munros. At the eastern end of Loch Earn you will find St. Fillans golf club and two restaurants, while at the western end you can access the Route 7 National Cycle Network with miles of great walking or cycling in either direction. 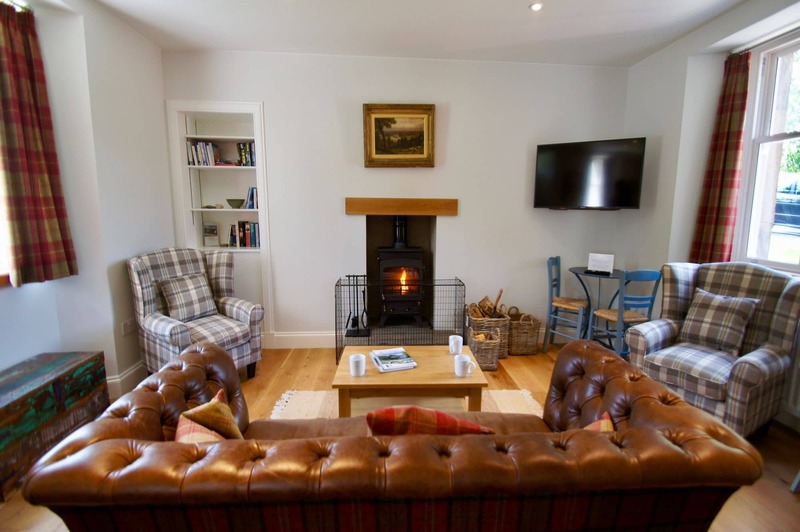 Edinample Lodge is located on the South Loch Road nearby Edinample Castle. This is not a main road, mostly used by walkers accessing Ben Vorlich. 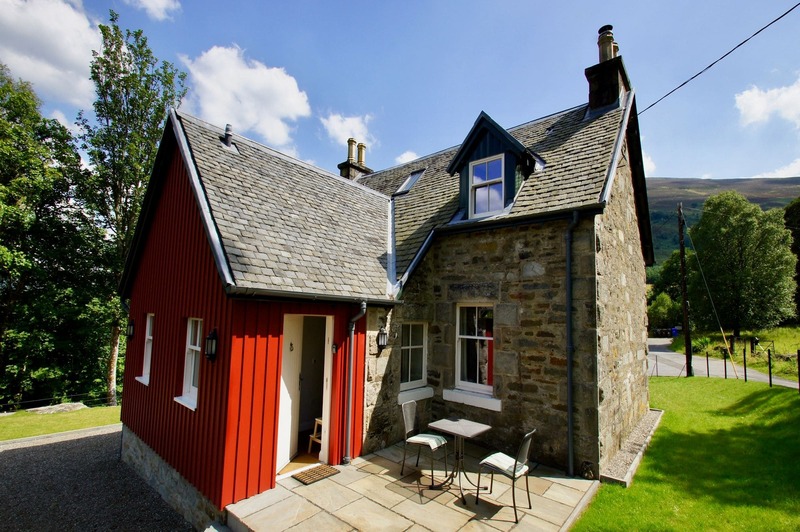 From the cottage you can enjoy views of Loch Earn and the surrounding mountain. 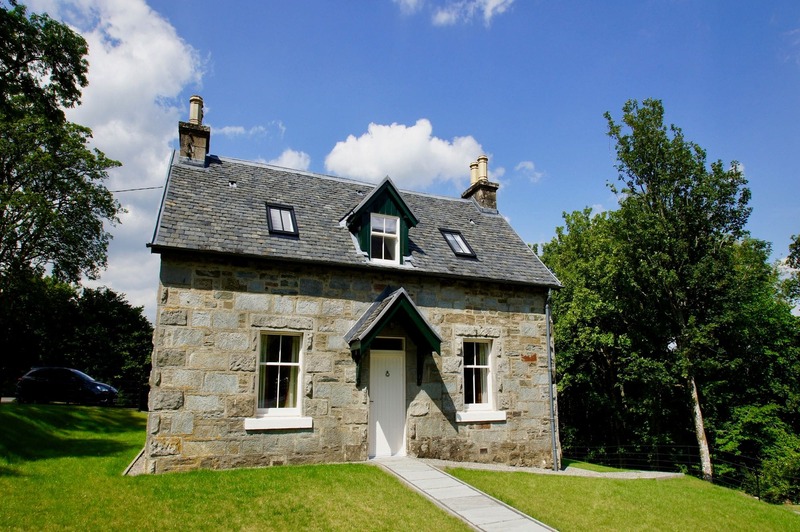 This rural retreat is an ideal base for a variety of outdoor activities, including walking, fishing, cycling and even golf with a 9-hole course at nearby St. Fillans. There is a garden outside the cottage and outdoor seating is available for the patio area just outside the rear door. Upstairs there is a double and a twin bedroom with a bathroom on the landing between. Linen and towels are provided. 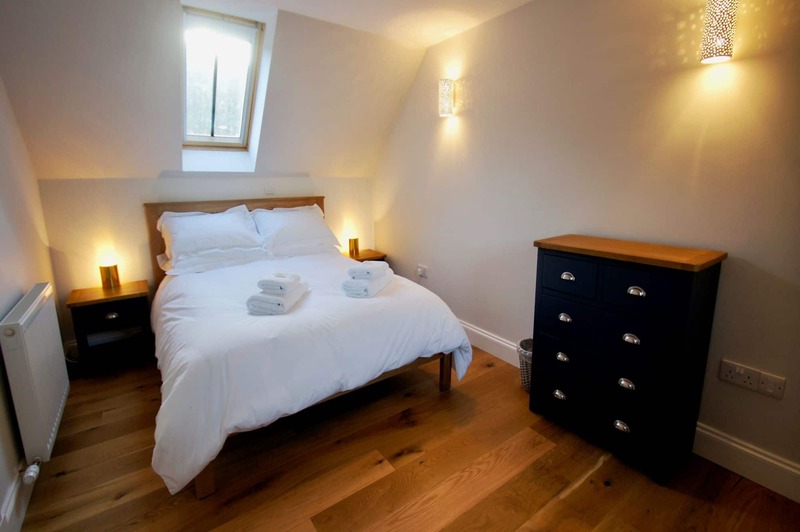 As you enter the property there is a utility room with washing machine and tumble dryer. There is also a downstairs bathroom with shower and toilet. 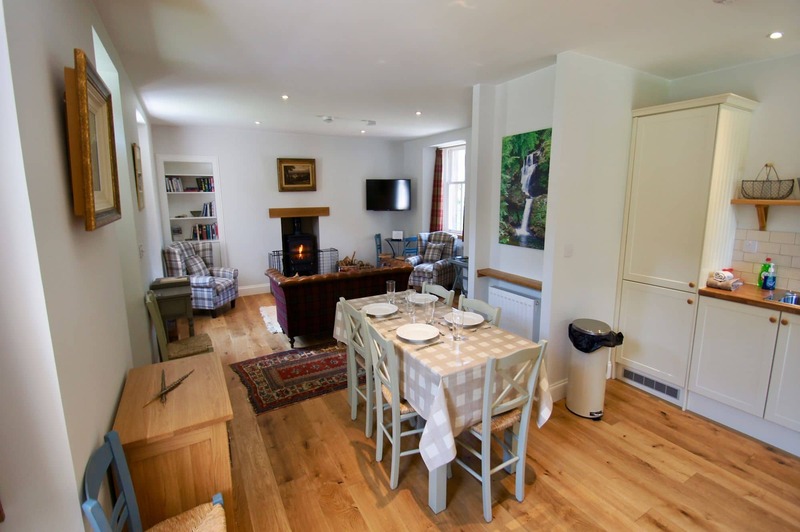 The open plan living area, with sofa seating before the television and log burning stove, a dining table seating four, and a spacious, fully equipped kitchen, is a great place for families to relax. WiFi is available. The kitchen is well equipped with everything you might need, including microwave, kettle, coffee maker and dishwasher. The dining table with seating for four is adjacent to the kitchen space. Lochearnhead is a central location for exploring the Trossachs National Park. You can access the Sustrans National Cycle Network which will take you north along the Glen Ogle Viaduct towards Killin, or south towards Balquhidder. Loch Earn is also popular for fishing and permits are available at the village shop (seasonal). At St. Fillans you will find a 9-hole golf course as well as places to eat.